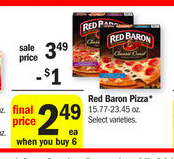 Meijer: Great Price on Red Baron Pizza! 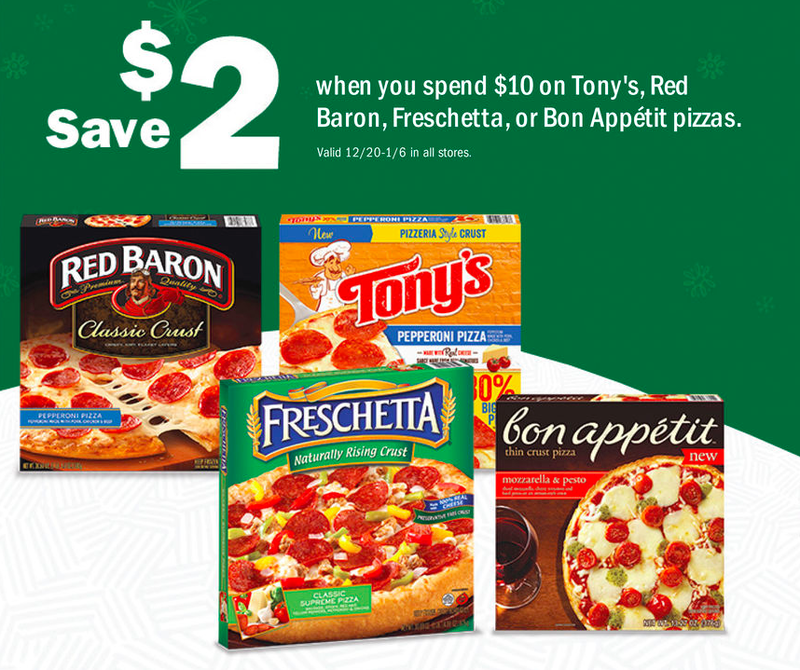 This week Red Baron Pizza is part of the buy 6, save $6 sale! Plus when you spend $10, you save $2 instantly! This deal works, I did it today!!! 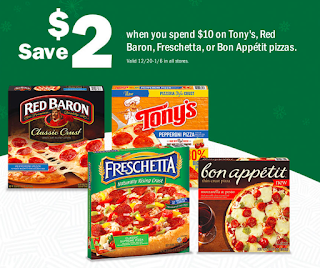 Buy (3) Red Baron Pizza - $3.49 before the buy 6, save $6 promotion and typically the registers will count this price towards the $10 promo price! This works out to be $1.49 each for the Red Baron Pizza!